“Guess Who” a beautiful, tactile set of mini books which have been handpicked by the lovely Jenny over at Smallprint to complement the learning opportunities in this box. Three beanbags of contrasting colours and textures – encourage your Little Explorer to touch and feel the differences. 1 kg (approx.) of bright elephant blue Safari Sand – the beautiful colour comes from colour fast, non-staining, organic dye. A Scrunch Spade – perfectly sized for little hands to dig with in sand, soil or a mud pie kitchen. 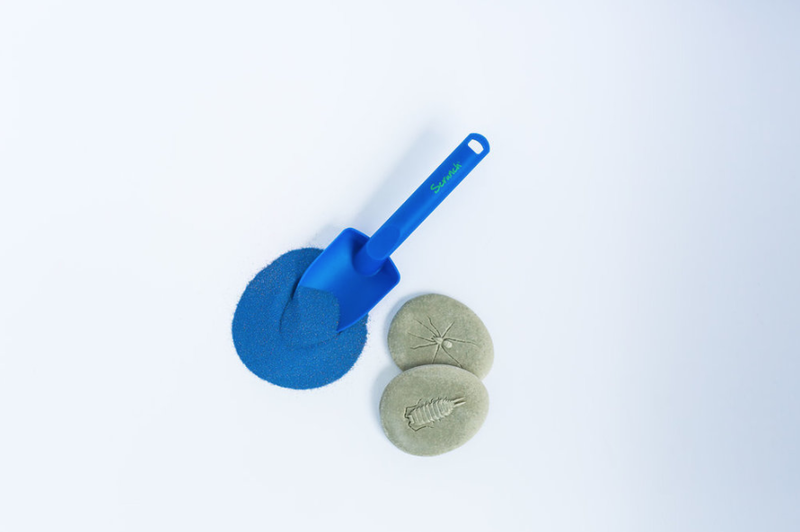 A trio of bug discovery stones – bury them in the sand for your Little Explorer to dig up.